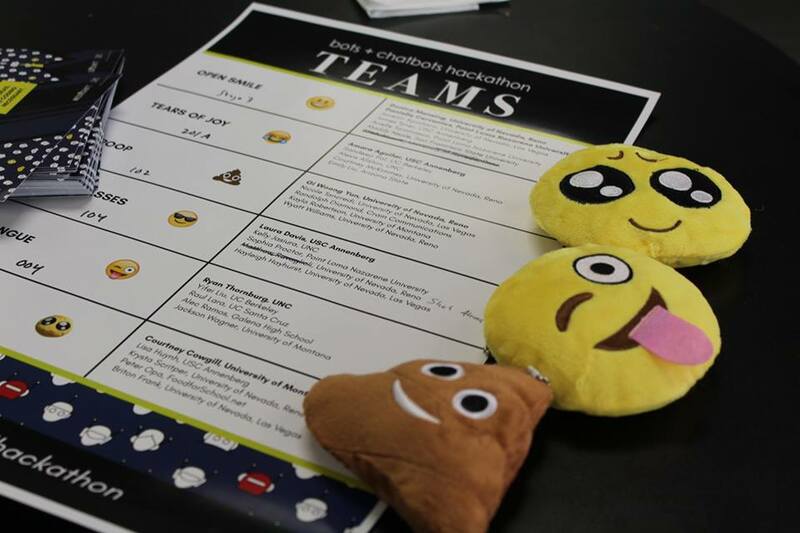 Student teams – each of which was named after a designated emoji – had to create startups based on chatbot tech for the 4th Annual J-School Hackathon. Photo by Adrianna Owens. Chatbots are being used to deliver the news, track your finances and even work as lawyers. At the 4th Annual Journalism School Hackathon at the Innevation Center at the University of Nevada-Reno, students were put into teams and given the task of pitching an idea for a media startup centered around news bots and chatbot technology. The winning team was Green Guide, which helps millennials manage their finances.